NVIDIA is at the annual E3 gaming conference where they have just announced no less than five new games designed for their Tegra 3 processor. Set to arrive in the coming weeks and months, these five titles take full advantage of the technology that comes with the 4-PLUS-1 quad core mobile processor. We cannot wait to get our hands on each of these so we’ll be checking the TegraZone on a regular basis! Jump below for a screen shot and synopsis for each game and tell us which one sounds the most intriguing to you! Dead Trigger: The world has collapsed and meat-eating zombies are after you! 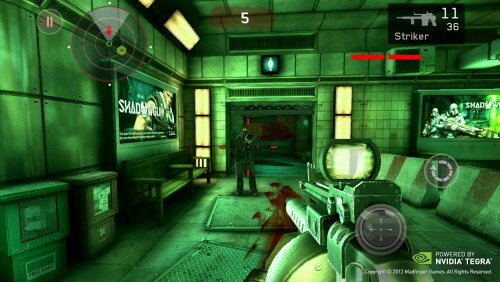 This first person shooter takes advantage of the Tegra 3 processor to provides exclusive effects like enhanced water, specular lighting, volumetric fog and ragdoll physics. Puddle THD: The hot Xbox Live Arcade and PlayStation Network console game is now being shown off on an NVIDIA Tegra 3 device at E3. 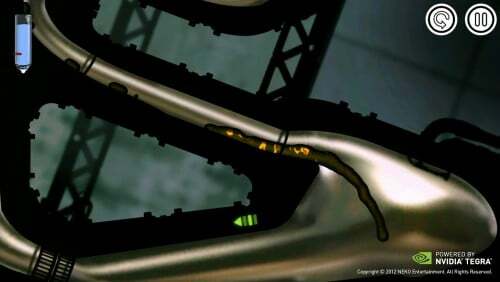 The game mechanics are simple and intuitive – guide the water to a target destination through tilt controls. 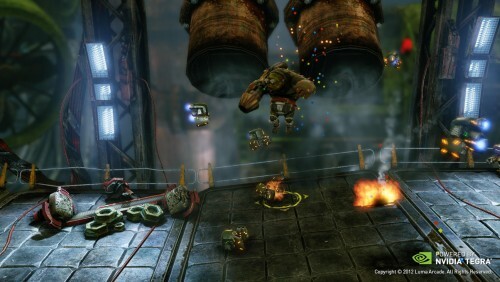 On Tegra 3, you’ll get higher resolution textures, advanced fluid effects, better shadows and advanced physics effects. Demons’ Score THD: A break-beat action game that integrates music with battles. It’s developed using Epic Games’ Unreal Engine 3 to produce high-quality 3D graphics and a user interface optimized for smartphones and tablets. Tegra 3-exclusive features include higher resolution textures, advanced bloom effects, rim lighting, dynamic shadows and depth-of-field effects. Bounty Arms: This exciting 3D side-scrolling action game will be playable for the first time at E3. Open-Reset and Luma Arcade are working closely with NVIDIA to create Tegra-exclusive enhancements for Bounty Arms on Android, tapping the graphics potential of Tegra 3. These enhancements include visual and performance upgrades and exclusive content like co-op play and advanced particle effects. 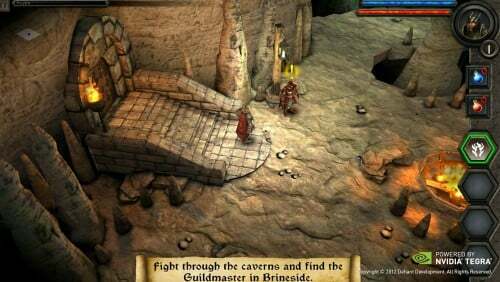 Heroes Call: Heroes Call is a playable action RPG that brings next generation gaming to Tegra devices. Lush graphics, deep quests, multiple characters and varied abilities make Heroes Call an experience unlike any you’ve seen on your mobile device before. The Tegra 3 exclusive features here are higher resolution light maps, spectacular maps on character weapons and armor and additional physics interaction on objects and particles.